An alpha-lipoic acid complex, containing alpha-lipoic acid, R-alpha-lipoic acid, and biotin. Suggested use: As a dietary supplement, 1 tablet one or two times daily with food, or as directed by a health care professional. 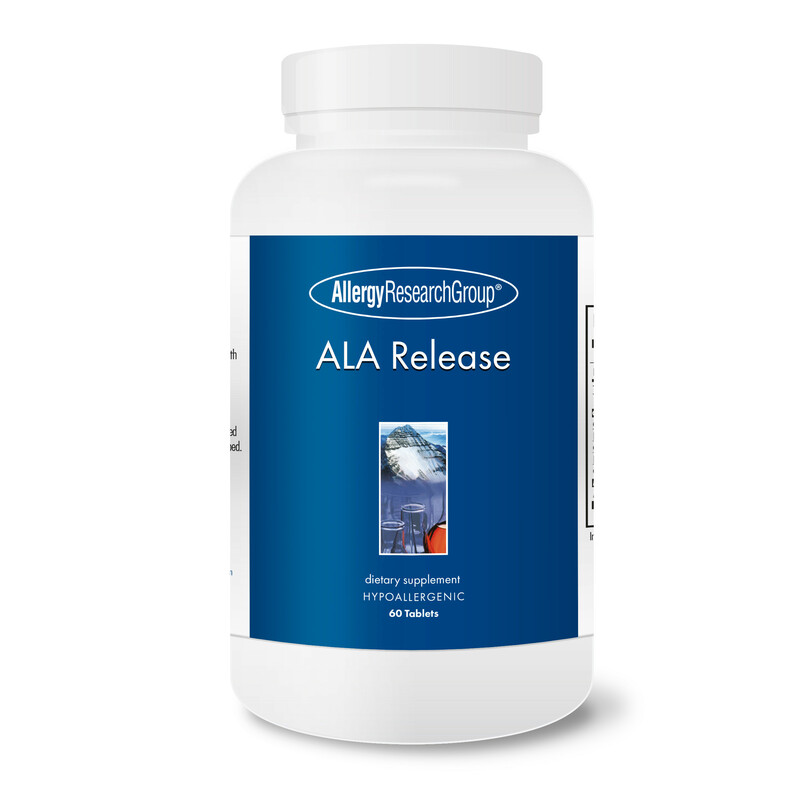 Warning: Alpha-lipoic acid may lower blood glucose levels; those with diabetes or related conditions should monitor blood glucose levels. Pregnant or breast-feeding women, those with thiamine deficiency or thyroid disease, and children should use alpha-lipoic acid only under the supervision of a healthcare professional. As a food supplement, 1 tablet per day. Ingredients: Alpha Lipoic Acid TR, d-Biotin, Alpha Lipoic Acid, R-Lipoic Acid, Calcium Sulfate, Hydroxypropyl Methylcellulose (E464), Magnesium Stearate (E470b), Stearic Acid E471), Magnesium Trisilicate (E553aii), Glycerine Coating, Cellulose (E460), Silica (E551), Vegetable Glaze (E904).